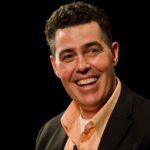 Adam Carolla is an American comedian, radio personality, television host, actor, podcaster, and director. 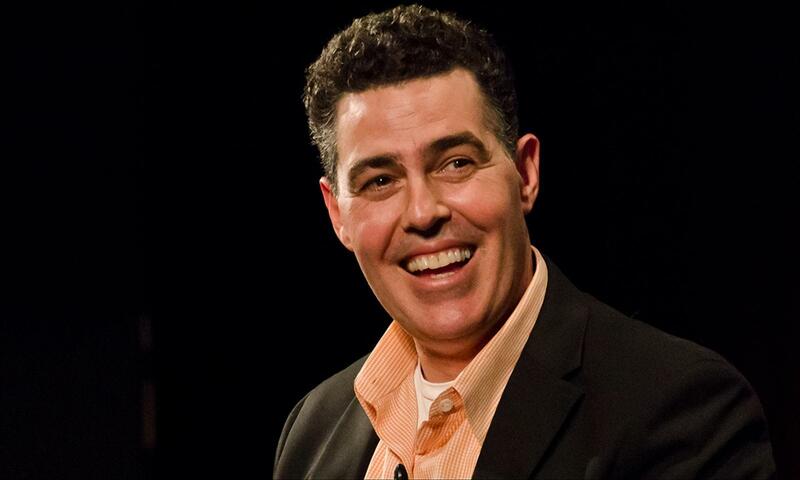 He hosts The Adam Carolla Show, a talk show distributed as a podcast which set the record as the “most downloaded podcast” as judged by Guinness World Records in 2011. Carolla co-hosted the syndicated radio call-in program Loveline from 1995 to 2005 as well as the show’s television incarnation on MTV from 1996 to 2000. He was the co-host and co-creator of the television program The Man Show (1999–2004), and the co-creator and a regular performer on the television show Crank Yankers (2002–2007). He hosted The Adam Carolla Project,a home improvement television program which aired on TLC in 2005 and The Car Show on Speed TV in 2011. "Well, the post office is probably not the place you want to go if you want to be infused with patriotism and a renewed sense of vigor." "In my early 20s I was so miserable doing construction, I wanted something that paid money. I liked nice stuff. I liked cars and architecture, and things that cost money. I wanted to not swing a hammer, and make money… and not do stuff that was dirty. I attempted to get into comedy. I started to do stand-up, but I wasn’t very good at it." "Well, guys are better at mechanical stuff and women are better at emotional stuff." "I want to work for myself, and I do work for myself. I make plenty of money working for myself." "A lot of guys and people in our society think that chicks just love dudes with money. Chicks love dudes who are successful who happen to have money – do you know what I mean? Chicks are attracted to dudes that are doing their own thing." "All’s the government should do is keep the taxes and regulations at a manageable rate, keep a decent standing army and get out of the way." "If women built the bridges or were meant to build the bridges, then they would have done it." "If Joy Behar or Sherri Shepherd was a dude, they’d be off TV. They’re not funny enough for dudes. What if Roseanne Barr was a dude? Think we’d know who she was?" "I cook a little bit. I make a Hungarian dish called chicken paprikash that’s out of this world. I’ll give a heads-up to all of your readers that it doesn’t have to be between Thai and Mexican every night. Toss some Hungarian in every once in a while. You will not be sorry. Good, solid peasant food." "My mom was on welfare and the occasional food stamp, but I have never participated in any of those governmental programs, even the ones that kind of work like education, scholarships and whatever, and I managed to do just fine."